Laia Baby is an accessory shop full of so much organic goodness including headbands, bandana bibs, socks, swaddles, and pillows. Everything is dainty and gorgeous, with a slight vintage feel. And, what makes the products even more beautiful, is the mission behind them. Laia Baby empowers mothers in South Korea through work creation, including resettled North Korean refugees, enabling them to dream again and provide for their family. You can read more about their mission here. Every purchase made directly impacts these mothers, so you can buy with confidence knowing your money is not only buying something of great quality, but that it's going to the good of another mama. I'm a sucker for pretty packaging. 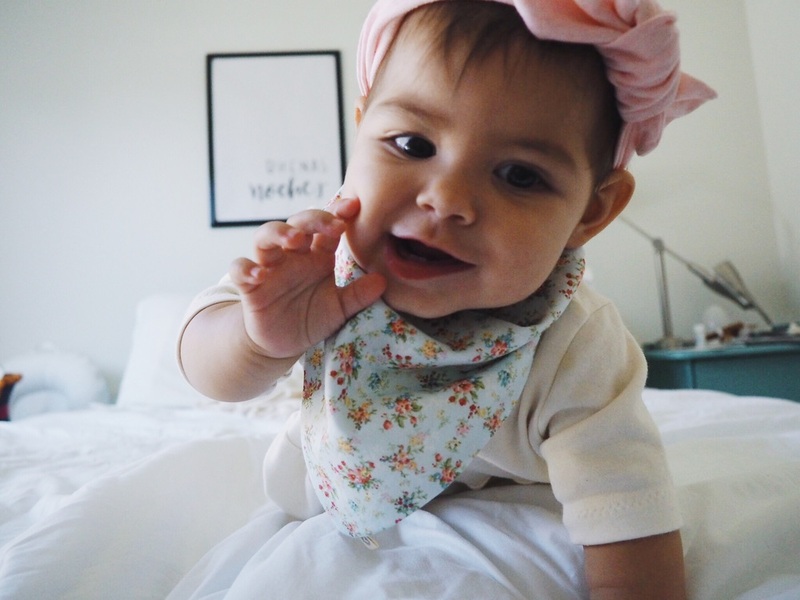 Pictured below is the Pure Cotton Heather Grey Headband with Laia edges, and the Sky Floral Reversible Scarf Bib. Pictured below is the Organic Biggie Reversible Swaddle, the Pure Cotton Heather Peony Headband with Dumbo edges, and the Sky Floral Reversible Scarf Bib. I'm obsessed with the colors that Laia Baby uses for their products. They're so soft and subtle and will match with anything. These gorgeous accessories would make the perfect baby shower gift.